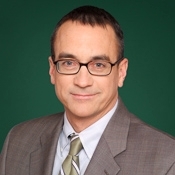 David concentrates his practice in complex civil litigation in state and federal court. He has successfully tried diverse cases to verdict and judgment. His experience includes commercial claims, healthcare, insurance coverage, employment, ERISA, director and officer liability, and class-action litigation. He is also a former prosecutor for the Illinois Secretary of State. His clients include hospital systems, medical providers, schools, manufacturers, a wide range of business ventures, and international corporations based in Europe and South America. Notable trial work includes David's successful prosecution of a complex managed care cases, multiple arbitrations on behalf of hospitals, a successful three-week federal jury trial, qui tam litigation, the prosecution and defense of director and officer claims, and international litigation. He frequently counsels clients on employment issues. When necessary, he litigates employment claims before the U.S. District Court, the Illinois Department of Human Rights, the Illinois Human Rights Commission and other administrative agencies. David lectures and writes on various topics arising out of his practice. The Illinois Institute of Continuing Legal Education selected him to co-author (with Ryan Haas) a chapter (Remedies) of the 2018 Practice Handbook on Employment Discrimination. David worked in Argentina and Brazil prior to starting his practice in Chicago, and he is proficient in Spanish and conversant in Portuguese. He served as a guest professor in the healthcare section of DePaul University College of Law (2018), as an adjunct professor at Loyola University School of Law teaching a course in healthcare litigation (2016) and as a guest professor at Wheaton College where he taught a course on international dispute resolution and litigation (2013-2015).